Manic Monday Vocabulary Cube Freebie! I have been thinking about what words I should use for my vocabulary study in my classroom for the next year. I've used the words assigned by the reading series for a long time, but it is time for a change. I found a book "The Reading Teacher's Book of Lists" by Edward B. Fry. Love this book! Using the book I picked words for weekly lists. Each list has 20 words. You can find all my lists at my Spelling City site. The words on the list make up 65 percent of all written material. I paid 29.95 for the book, but Amazon has it for much less. 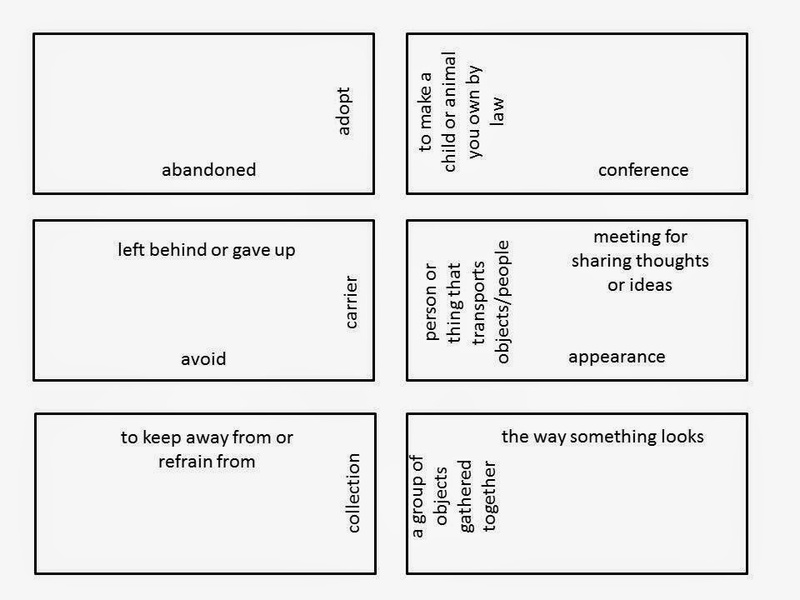 For my freebie, I created a Vocabulary Cube for the week 1 list. Students can work together to match the sides of the cards to make a cube. Click on the picture below to get the freebie! Head over to Classroom Freebies to check out the other freebies! What do you use for your vocabulary? I would love to hear everyone's ideas on teaching vocabulary!